Burn at the Barre is now both available at our home site, or, if you prefer, at Amazon also for your convenience. Barre isn’t just a fantastic workout shot in High Definition that you can do from the comfort of your own home, but it is also a certification program. If you have always wanted a career in fitness, now Pilates Sports Center is offering a weekend certification intensive that comes with a teacher’s manual and step by step dvd education program. 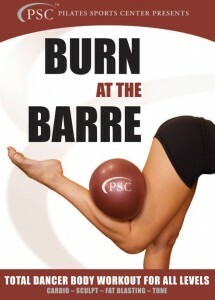 If you are already a fitness professional and are interested in adding Burn at the Barre to your existing repertoire, you will not be disappointed. Contact us at Pilates Sports Center for more information!